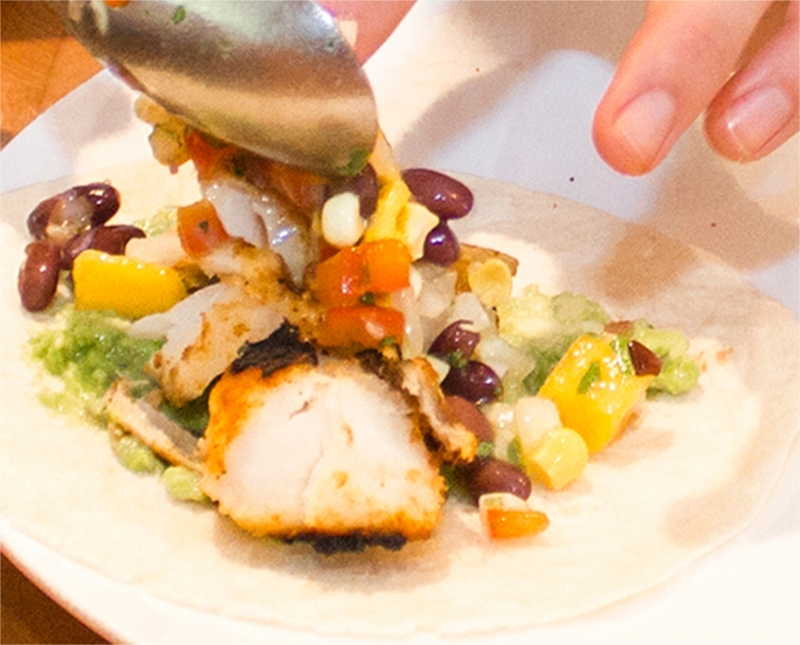 Fish tacos, what a great idea! What we like about this recipe is that you can make it with your favourite ingredients. 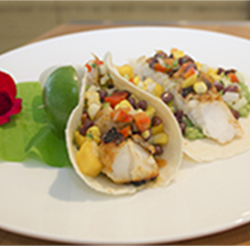 Taco is a traditional Mexican dish, composed with corn or wheat tortillas, folded or rolled around a filling. 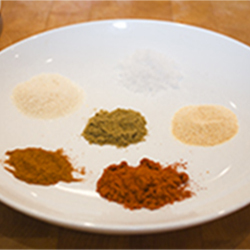 A taco can be made with a variety of fillings, including beef, pork, chicken, seafood, vegetables and cheese allowing the great versatility and variety. 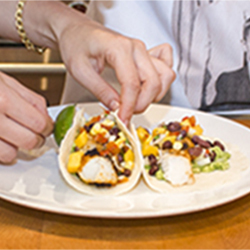 A taco is eaten without utensils and is often accompanied by garnish. 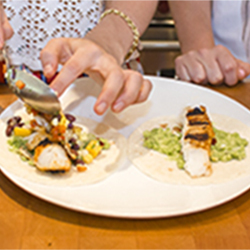 Diandra and Angelica makes their tacos with grilled blackened codfish, guacamole and mango salsa, a pure delight! 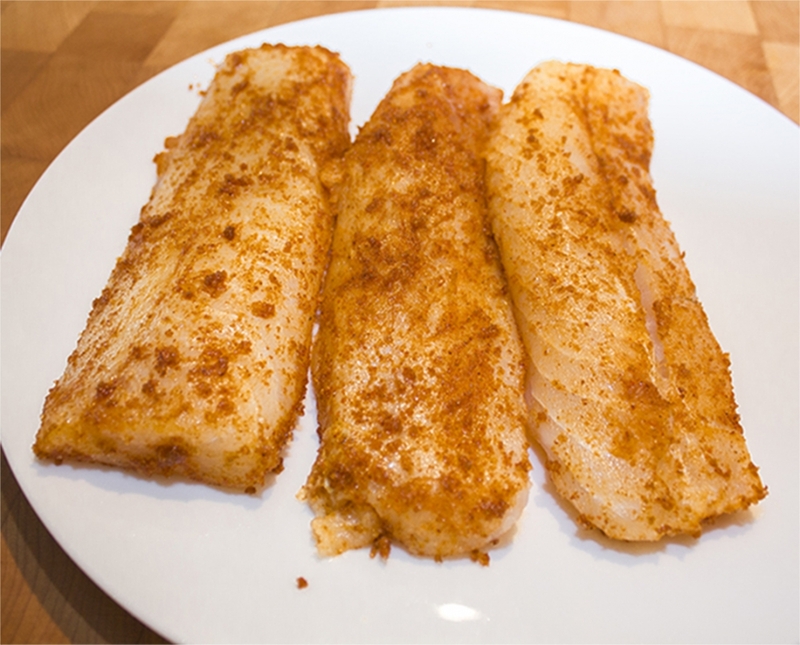 Start by drying the fish flesh with a dry paper towel to remove any excess moisture. 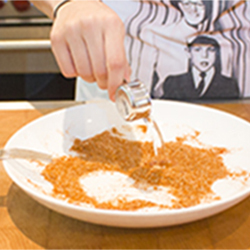 Place all dry ingredients in a bowl and mix well. Add oil and mix again until pasty texture. 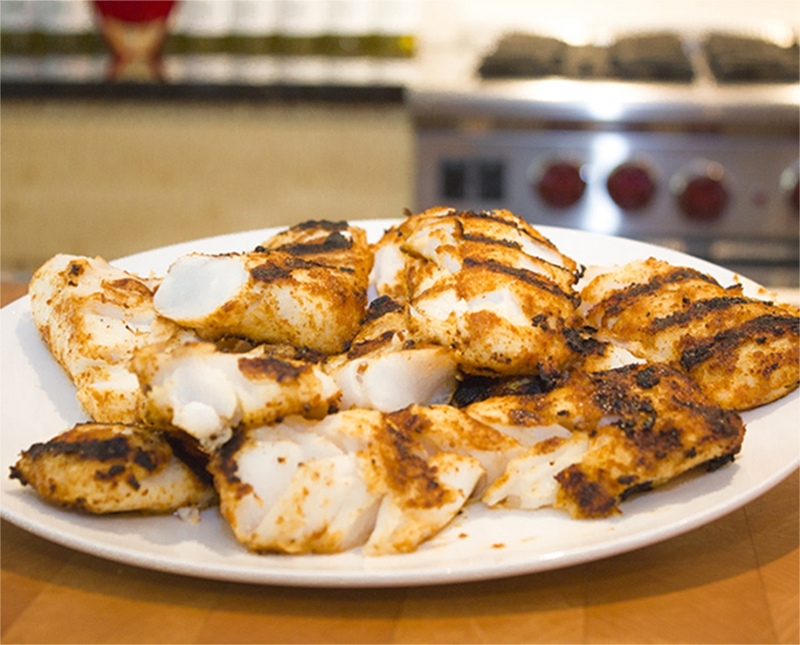 Rub the fish with paste using your fingers. 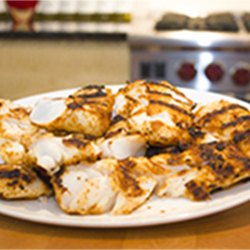 Cook on the grill or in a pan abour 10 to 12 minutes and transfer in a plate. 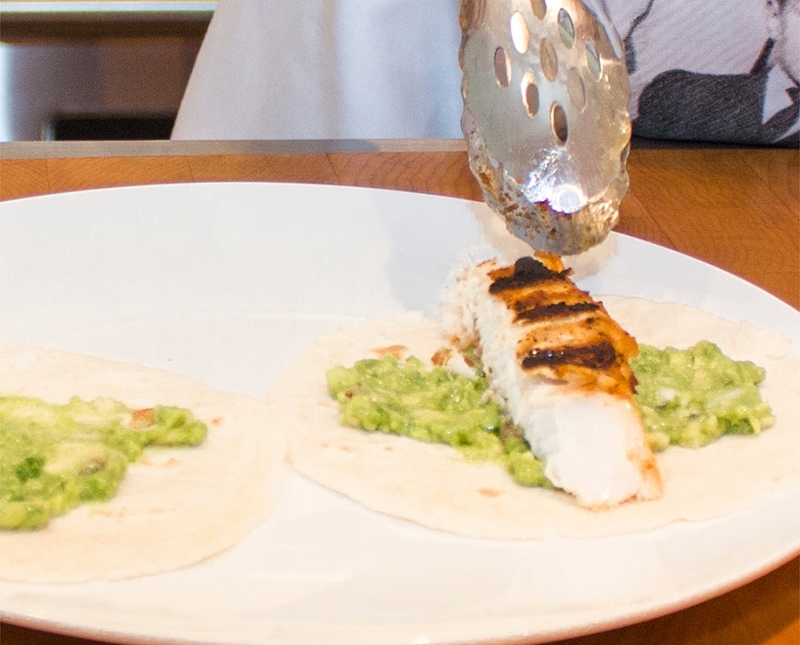 Place tortillas on a plate and spread some guacamole (see recipe), add a peace of fish and a littlemango salsa (see recipe). For presentation, fix with a toothpick and lime and serve right away. Suggestion Replace guacamole with grilled vegetables. 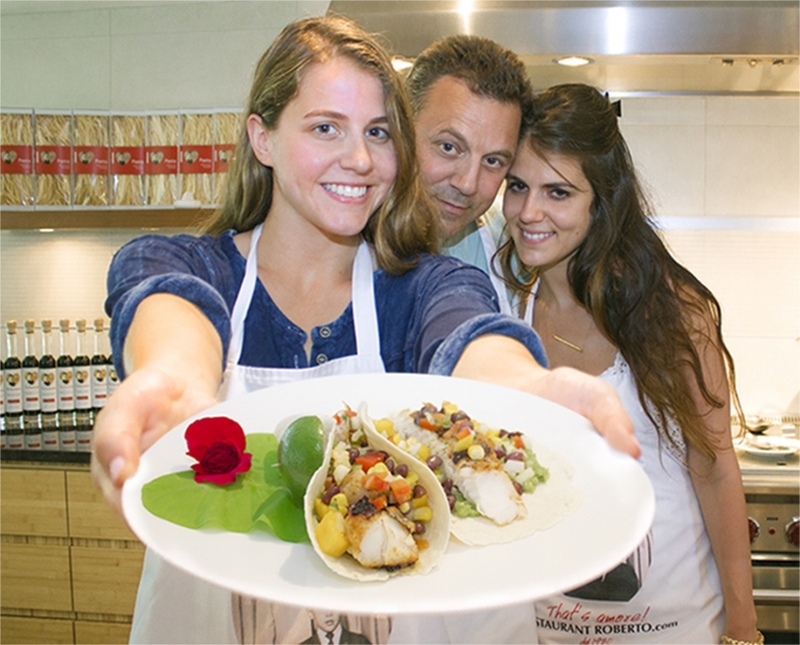 For more fun Let your guests prepare their own tacos. 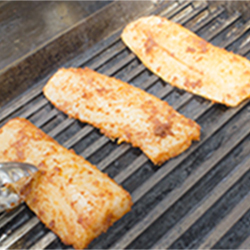 1 - Start by drying the fish flesh with a dry paper towel to remove any excess moisture. 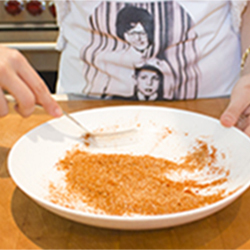 Place all dry ingredients in a bowl. 5 - Rub the fish with paste using your fingers. 6 - Cook on the grill or in a pan about 10 to 12 minutes. 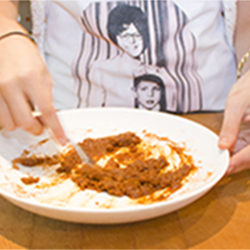 7 - Transfert in a plate. 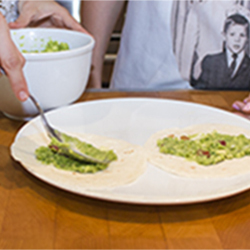 8 - Place tortillas on a plate and spread some guacamole (see recipe). 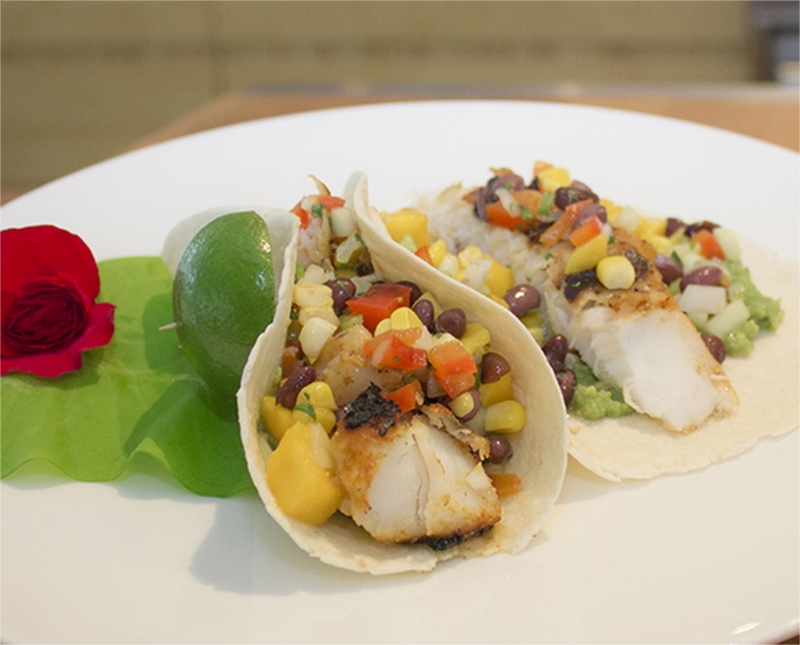 9 - Add a peace of fish and a littlemango salsa (see recipe). 10 - For presentation, fix with a toothpick and lime and serve right away.